The 3 Dimensions of Emotions, the award-winning book by Dr. Sam Alibrando, is a new way to understand emotional intelligence and how to apply it in all contexts: whether organizational or personal. A compelling model for human relationships, The 3 Dimensions of Emotions introduces the concept of Working the Triangle, a practice that offers a practical road map to help you respond with responsibility rather than reacting to interpersonal challenges. It works just as successfully for the CEO of a Fortune 500 company as it does for a parent of a teenager. Understanding the 3 dimensions will help you manage difficult people, take responsibility for your own behaviors and improve your emotional intelligence as a senior executive, team leader, manager, or individual contributor at work and as a parent, partner or friend at home. The goal, says Alibrando, is to find our personal &relational “sweet spot” —not far in the future but every time we find the balance of personal Power, Heart, and Mindfulness. This book is for people who want to change and grow, and the most powerful way to learn new habits and truly change is through experience. Dorothy did not develop Scarecrow-knowing, Tin Man-heart and Lion-power from a book. It was not from a lecture that Dorothy discovered her wizard was a fraud and that if she faced her scary witch, the witch would melt. She learned these vital life lessons through her experiences along the Yellow Brick Road. Follow the Yellow Brick Road is especially for people who have ever had a twister pick up their life and drop them into a strange and uncharted land. If you are having trouble managing at work, going through a breakup, are caught in an addiction, have lost a loved one, or are in a challenging relationship, then you are in the Land of Oz and need to do as Glinda instructed: Follow the Yellow Brick Road. When you subscribe you’ll see a link to download a free copy of the Relationship Circle described in Dr. Alibrando’s book, The 3 Dimensions of Emotion. We appreciate your subscription. 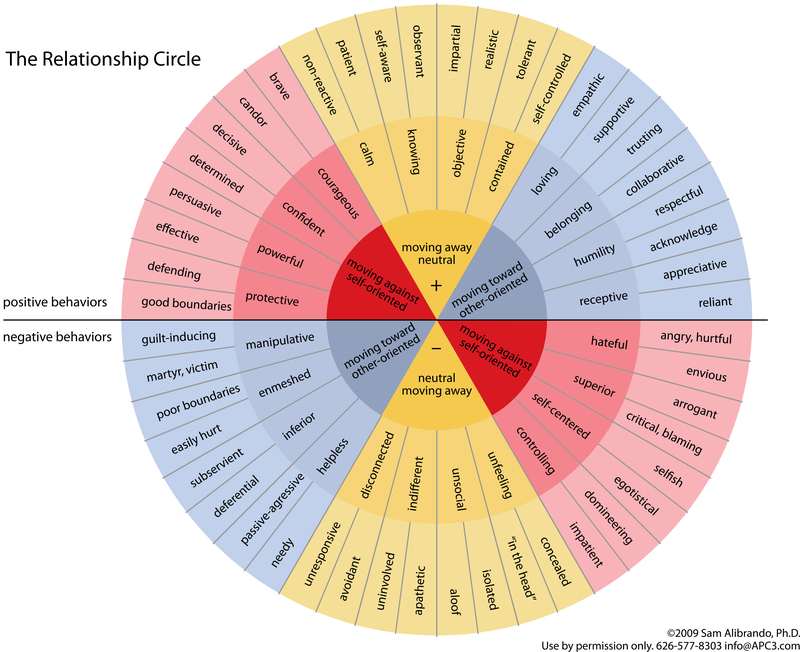 As a thank-you, please click here to view the Relationship Circle, described in The 3 Dimensions of Emotion!